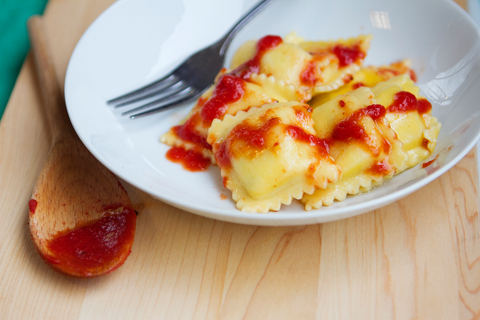 You know Luce is your favorite for fine Italian food, because we bring you back to your best memories of Italian specialties. 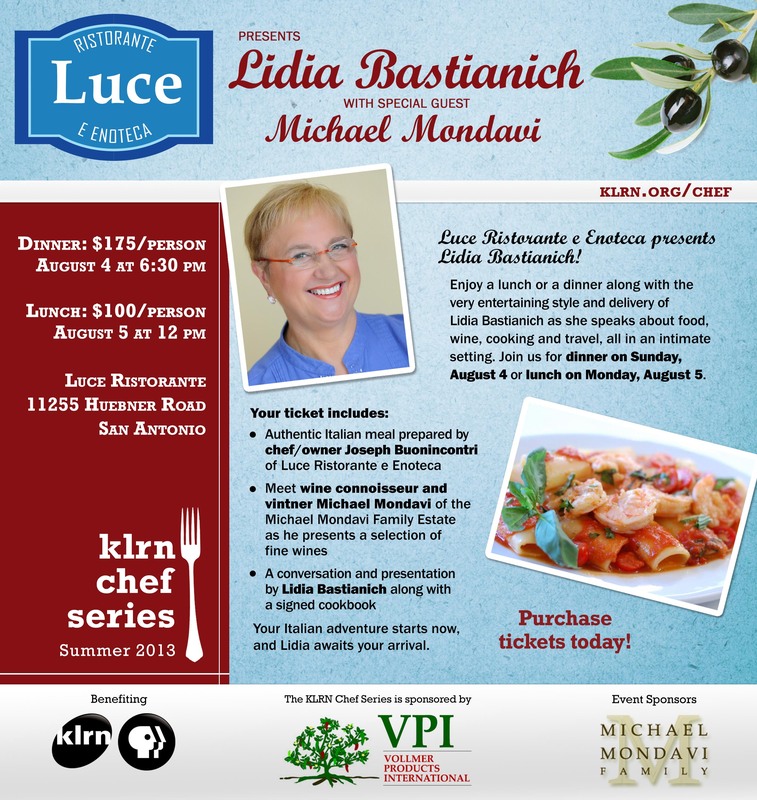 We are excited to invite you to dine on authentic Italian food with PBS television chef, author and restaurateur Lidia Bastianich as she talks about food, wine, cooking and travel, all in an intimate setting. Menus, wine pairings, and more special announcements will be released soon. However, tickets are limited, so secure your seats. “I am proud that Luce has been selected for this very important fundraiser for KLRN. Having the opportunity to present Lidia Bastianich and Michael Mondavi, two very accomplished and generous food and beverage icons, is very special,” – Joe.